Rotherham Council is proposing to build several new business units in a bid to attract more inward investment to the borough. The recommendation will be put before members of Rotherham’s Cabinet and Commissioners’ Decision Making Meeting on Monday 11 September, 2017. The proposals would see the Council joining forces with developers JF Finnegan to build the units at Old Colliery Way, in Beighton Link near Swallownest. Under the proposals, the Council would buy the land and units, with JF Finnegan constructing the units. Rotherham Council’s Cabinet Member of Jobs and the Local Economy Cllr Denise Lelliott said: “We know there is a market out there for high-quality commercial property, but businesses are struggling to find suitable units and that is preventing business growth in the borough. “The completed units – which would be owned by Rotherham Council – would be let to inward investors or expanding local companies. The current proposal follows the Council’s successful sale of the Advanced Manufacturing Park’s R-evolution units, under a similar initiative. Following the Council’s investment at the AMP, the private sector have continued to build commercial property. 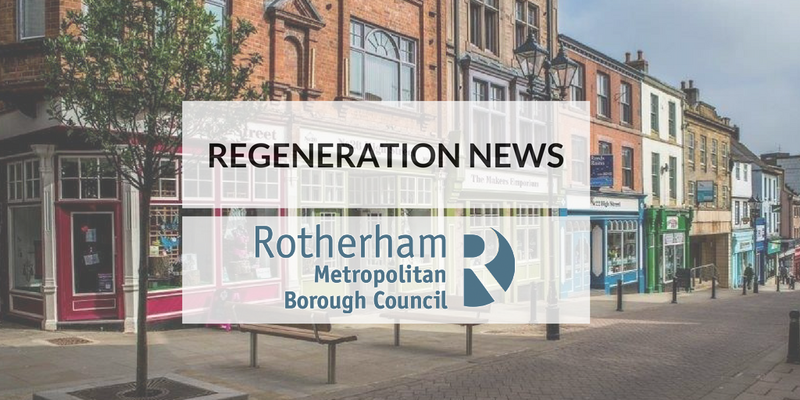 The need to encourage new development is a priority in the Rotherham Economic Growth Plan which includes a target to increase the amount of industrial and commercial floor space in the borough.